Angry Birds Space is impressive - we loved the new ideas and galactic surroundings for the birds versus pigs conflict, but what we don’t like is the confirmation that the game won’t arrive on Windows Phone. Rovio said it won’t release its latest Angry Birds entrant for Microsoft’s platform because it requires too much of a development effort for a platform with too low of a market share. “We’re the No. 1 app in the Windows Phone app store, but it’s a big undertaking to support it, and you have to completely rewrite the application,” Peter Vesterbacka, chief marketing officer of Rovio said for Bloomberg. The decision will hit mostly Nokia which has put all its horses on the Windows Phone platform. Angry Birds is seen as a staple to modern mobile gaming and the lack of a Windows Phone version could draw gamers away from the platform. Most importantly, it shows Rovio’s estimation of the importance, or rather non-importance of the platform. It indicates that the company doesn’t expect it will make money on Windows Phone, a powerful assumption that other developers could also take on. For Nokia and Microsoft, this is a vicious spiral of no apps bringing no users, and no users meaninng no apps. At the same time, Rovio’s Vesterbacka underlined the importance of growing markets such as China. “China has been our second-largest market, but it’s actually been the fastest-growing for quite a while, and it could well be that China becomes the biggest market this year,” Vesterbacka said. Windows Phone is also trying to get a foothold there by introducing cheaper and widely available devices. NEWS UPDATE: Angry Birds Space is coming to Windows Phone after all, despite the earlier articles. 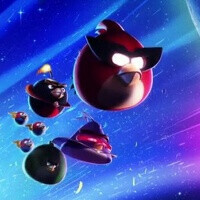 New confirmation from the developers here: http://wmpoweruser.com/angry-birds-space-coming-to-windows-phone-after-all/ Take that! And somebody said windows was the future.....HAHAHHAHAHAHAHAHHAHAHAHA. Let's see. The article is about whether or not people will want to buy windows phones if the developers aren't keen on making apps for that OS. His comment about not getting a windows phone until they get Google Maps seems pretty relevant to me considering he's talking about the fact that he doesn't want a phone based on the fact that certain a certain app is not available. Honestly, put side by side, I prefer bing maps. I have an HTC Design 4G and my friend has an HTC Arrive, whenever we need to find something, Bing and the local scout thing usually beat me. Same network and all. Google Earth on Android is pretty sweet though. XNA is the base of WP7 and XBLA. Build for XBLA, back port to WP7. Its a relatively simple 2D game, how bad could the tradeoff of not having native coding support be? Microsoft already set a baseline for them with their involvement in the original WP7 port. They are just being lazy now. They have more than enough money/resources to invest in the XBOX ecosystem. Whether or not this is a sound decision depends largely on the reason why experience does not always translate for all platforms. Consumers are the ones who lose out because they are not given the things they may want regardless of the platform. Time will tell in this decision but I think that I have had it up to here with developers and their unwillingness to support OS of that caliber. Where do you work? Maybe at Sprint! I would not buy the Arrive but the Titan II is on my radar as well as the Focus S. Also Nokia has one low end phone for sale in the US at the moment, who knows what will happen when they finally release a decent phone in the US. I have an Android on Sprint that I am less than excited about anymore so I am waiting to be thrilled. Someone anyone entertain me! No love for the Arrive? It's actually a pretty great phone. It's really sad about Windows Mobile, WP7, WM7, Peach, Mango or whatever it wants to call itself these days; I would probably still have a Windows Mobile Smartphone if it were not for its' progressive devolution. And, yes, WP7 is still a "Mobile" platform and, therefore, Windows Mobile. That however is not the name! Is it Apple mobile? or Android mobile? It is Windows Phone 7. The current OS is Mango, the next OS version is Tango. It may have poor sales but you cannot change the name because you do not like it. windows phone is going to be the third horse in the os war wait till apollo. And i would love to tell you that i told you so. this is part of why it's hard to let myself be lured in by Windows Phone.